Thin layer chromatography silica gel is a white powder particle, the main ingredient is SiO2. It features uniform particle size, high purity, good adsorption and selectivity, stable product quality. Because of the special manufacturing process to make its surface has better hydroxyl activity. It has an irreplaceable role in analysis and detection. 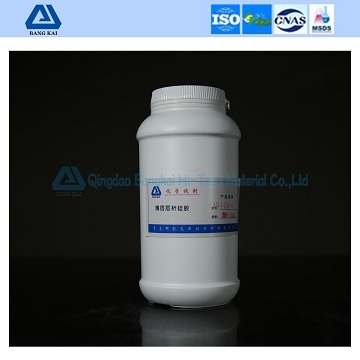 It is mainly used for pharmaceuticals, pesticides, Chinese herbal medicine, organic chemical products, food, food ingredients and trace of impurities of qualitative and quantitative analysis and some material purifying and preparing. The “three colors” shown in the table refer to BI-methy1 yellow, sultan red and indigo.